PLEASE NOTE: As a general rule, surgeries will only prescribe two months' worth of repeat medication (unless exceptional circumstances). We ask for information about you, so that you can receive the best possible care and treatment. We keep this information, together with details of your care, to ensure that your doctor or nurse has accurate and up to date information. It also may be needed if we see you again. Your medical history is recorded on our practice computer system, which may only be accessed by authorised members of our team. There are times when we have to pass on information about you to other people such as hospitals, Social Services, Employers, Solicitors or Kingston Clinical Commissioning Group (CCG). This is always done confidentially and with your consent or by removing your identity details, when they are not essential. In accordance with the Data Protection Act 1998 and Access to Health Records Act, patients may request to see their medical records. Such requests should be made through the practice manager. No information will be released without the patient consent unless we are legally obliged to do so. Under the Freedom of Information Act (www.ico.gov.uk), if you would like your medical records to be withheld from the “National NHS IT Spine” please inform us in writing. You also have the right to know what information we hold about you. If you would like to see your records, please speak to one of our receptionists. We have a practice policy regarding your access to your medical records which can be obtained via reception or via the website. We ask you for personal information so that you can receive appropriate care and treatment. This information is recorded electronically and we are registered under the Data Protection Act 1998 and comply with the GDPR regulations. The practice will ensure that patient confidentiality is maintained at all times by all members of the practice team. However, for the effective functioning of a multi-disciplinary team it is sometimes necessary that medical information about you is shared between members of the team and other members of the care team who are involved in a patient's direct care. Where a patient wishes information not to be shared within the team providing direct care, then this must be discussed with a patient's GP. Please note the Practice's policy is to record telephone calls for the purposes of patient and staff care, security and dispute resolution. Recordings and their use will comply with the Practice's Data Protection registration. Click here for link to the ICO's website and click here for a leaflet telling you more about what GDPR means for you and the information we keep about you. Click here for our Privacy Notice. KINGSTON CARE RECORD - click here for information and a link to opt out. Summary - NHS Digital has introduced a new tool that people can use to opt out of their confidential patient information being used for reasons other than their individual care and treatment. It will be secure and accessible, and was available from 25 May 2018. The National Data Opt-Out - NHS Digital has developed a new system to support the National Data Opt-Out which will give patients more control over how confidential patient information is used. The system offers patients and the public the opportunity to make an informed choice about whether they wish their confidential patient information to be used just for their individual care and treatment or also used for research and planning purposes. Choosing to Opt-Out - Patients and the public who decide they do not want their confidential patient information used for planning and research purposes are able to set their national data opt-out choice online. NHS Digital provides a non-digital alternative for patients and the public who can't or don't want to use an online system. Individuals can change their mind at any time. Existing Type 2 opt-outs (the option for a patient to register with their GP, to prevent their confidential patient information leaving NHS Digital) will be converted to the new national data opt-out. Patients with type 2 opt-outs will be informed of this change individually. 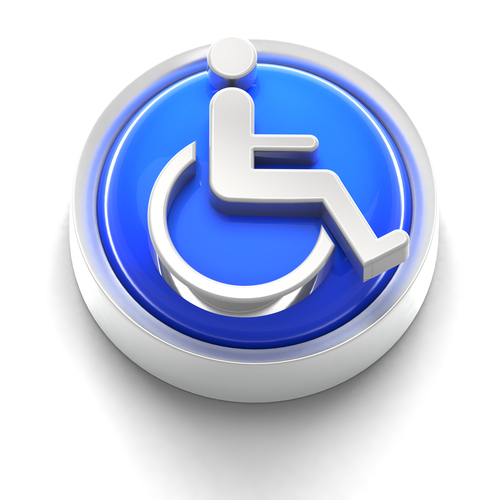 All consulting and treatment rooms are on the ground floor allowing wheelchair access. Also installed at the Reception Desk is an Audio Frequency Induction Loop System, to assist patients with hearing aids. We also have a portable system which patients can take into a doctor or nurse consultation. Would you recommend us to your friends and family? Please click here to leave your feedback - print and return to the surgery. Thank you. We all like to think that we give a good service to our patients, but sometimes things can go wrong and mistakes happen. 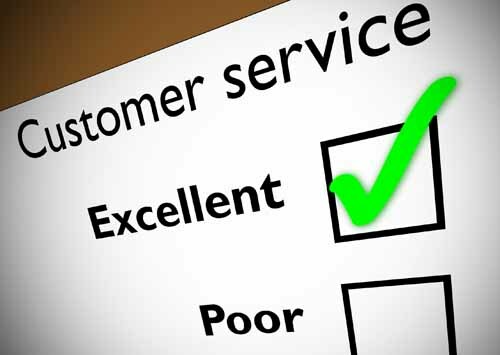 We welcome comments and complaints because they help us to improve our service to you, and compliments let us know that we are getting things right. If you think our service is good, or if you have a suggestion, please let us know, in writing or by speaking to a member of staff or your GP. If you are dissatisfied with our service and you want to complain you can either speak to a member of staff, who will take a note of your complaint and may be able to solve your problem straight away, but if not they will pass it to our Practice Manager, Louise Laithwaite. If available she will see you straight away so that it can be discussed in private. If she is not available, the member of staff will ensure that it is passed to her and she will contact you by telephone or acknowledge receipt in writing, within 72 hours. Alternatively, if you prefer you can write to her. Upon receipt of your letter she will contact you to discuss the complaint and arrange an appointment if this would be of benefit. The staff at this practice record information about you and your health so that you receive the right care and treatment. We need to record this information, together with details of the care you receive, because it may be needed if we see you again. We are currently involved in research studies for which we provide Anonymised information from patients' notes. You cannot be identified in any way from the information as none of your personal details are given to researchers. Individual patients' records are added into a much larger anonymous database, containing records from millions of patients across the UK. This information is used by researchers outside this practice. The database to which we contribute anonymised records is called "The Health Improvement Network (THIN)". This database is managed by a company outside the NHS, which does not have access to your personal details, only anonymous medical records. The data is used for research into such topics as drug safety, disease patterns, prescribing patterns, health economics and public health. Many of these studies provide useful information to medical staff on diseases, the use of drugs or outcomes of disease or treatment. These studies may be performed by academic researchers or commercial companies amongst others. However, no researcher has access to your full details, such as your name, address, initials or your full date of birth. The researchers are not given information on the GP nor the practice name, address or postcode. If you would like to opt out of this data collection scheme, pleases let your doctor know and no data from your records will be collected or used in research. This will not affect your care in any way. Note that you have a right of access to your health records. If at any time you would like to know more, of have any concerns about how we use your information, please ask to speak to our Practice Manager, Louise Laithwaite. Physical violence and verbal abuse are a growing concern. Doctors, Practice Nurses and our other practice staff have the right to care for others, without fear of being attacked or abused. Aggression, violence and threatening behaviour will not be tolerated and any patients behaving violently will be reported to the Police. The patient will also be reported to the Kingston Primary Care Trust and we will take steps to have them removed from our patient list.